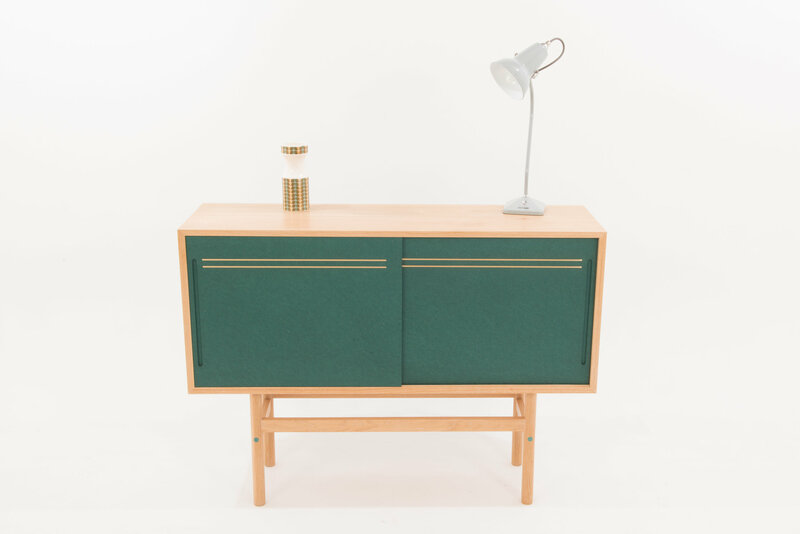 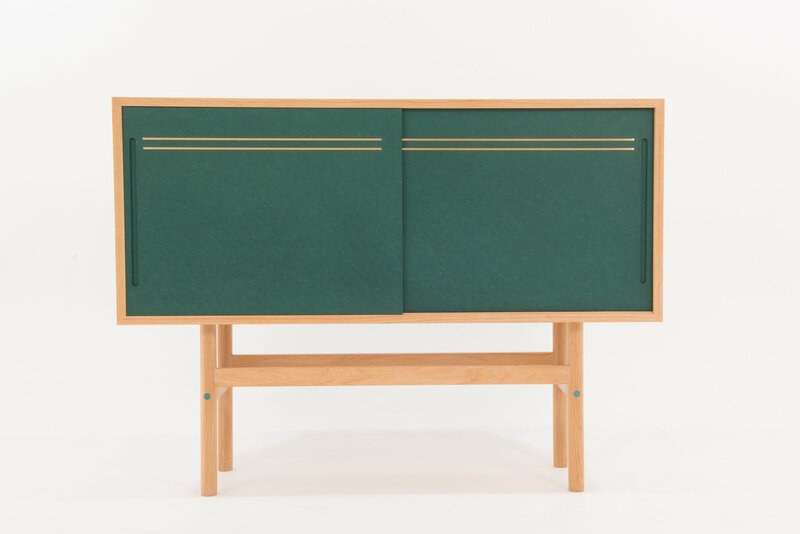 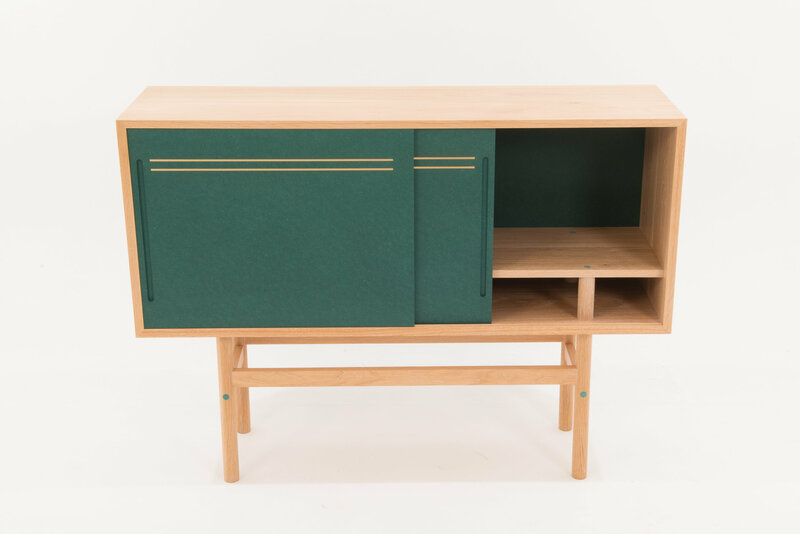 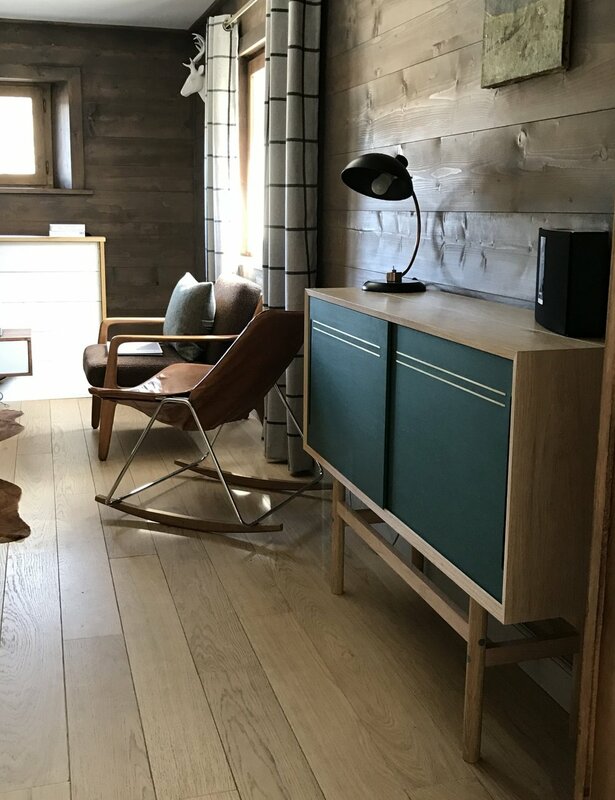 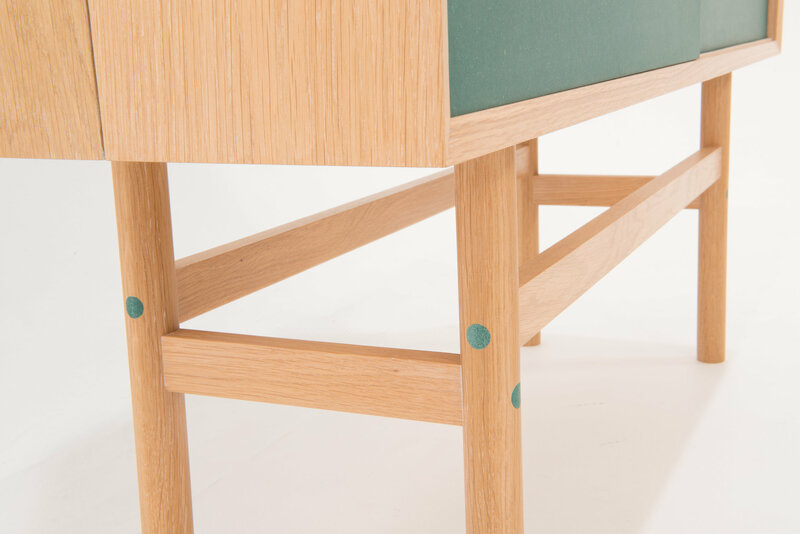 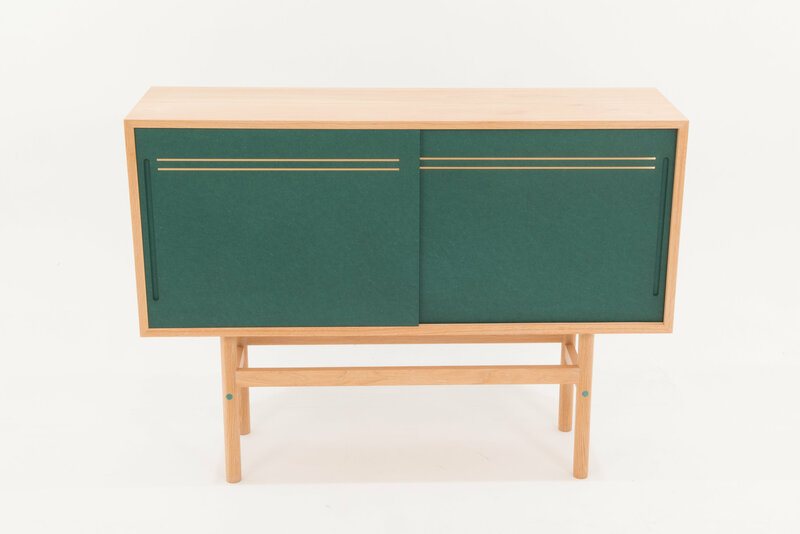 It’s all about the details with the Hibou Sideboard: linear brass inlays on the sliding doors, green inlays in the legs and a subtle shadow gap around the top, sides and base. 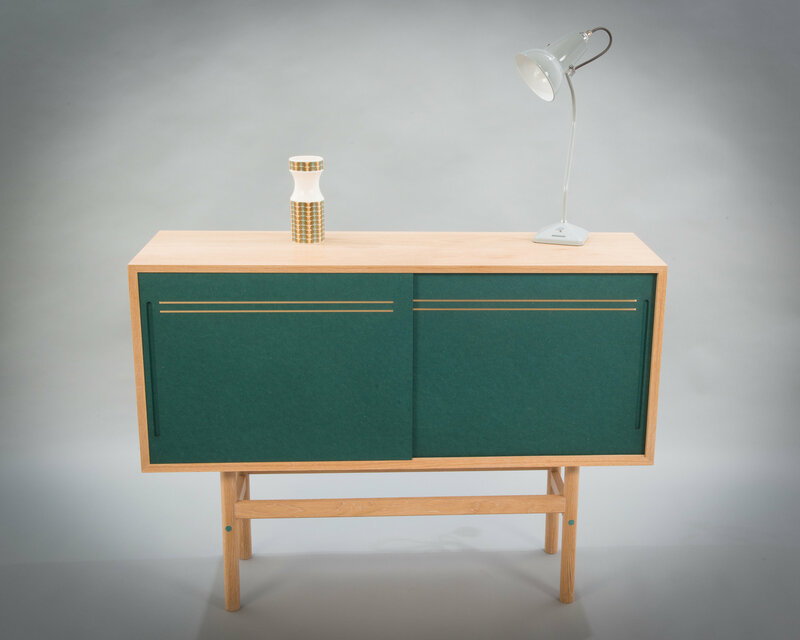 We like to think it has a contemporary feel with a little nod to Art Deco. 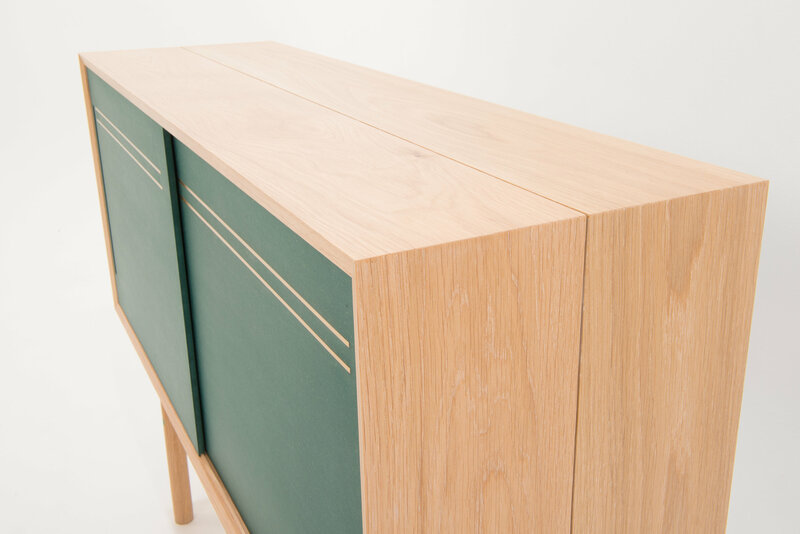 Made in Solid Oak. 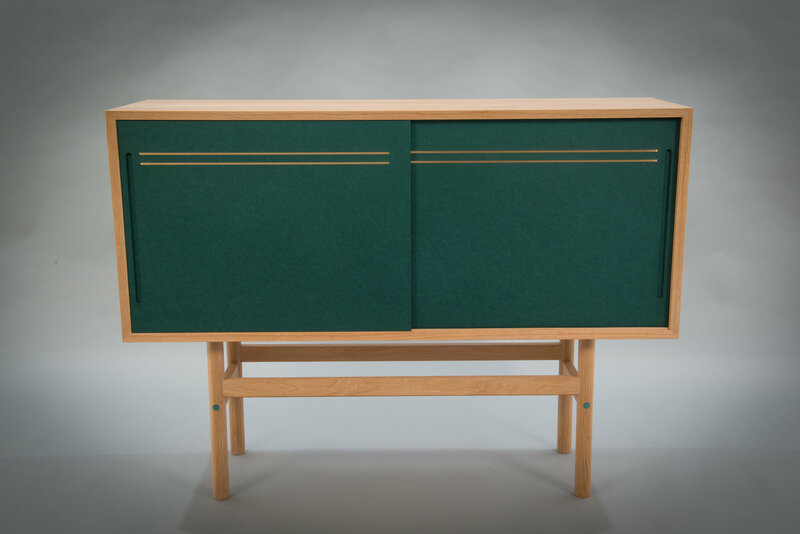 This piece can be made to your bespoke dimensions, so please contact us for prices.